I guess Henry’s climbing all over & into everything at his age. Bet y’all can’t take your eyes off him for a minute. I well remember that stage with my 3 children. Good thing I was young enough to run back then! 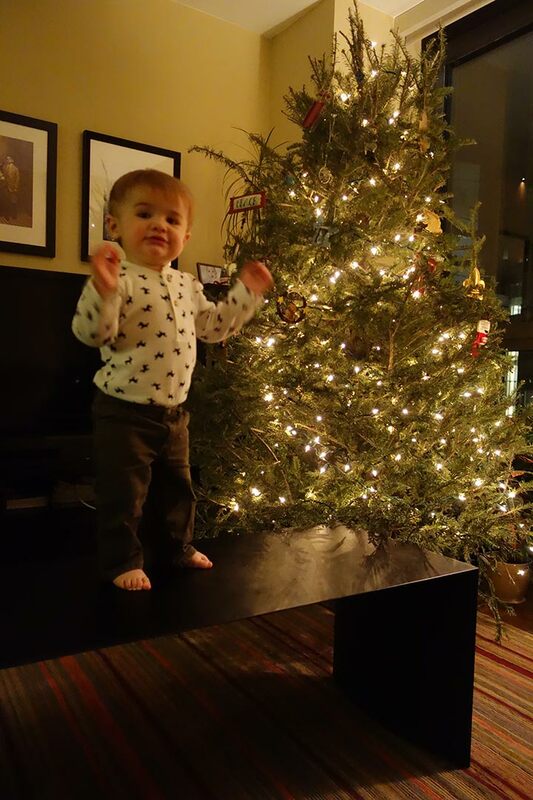 Your Christmas tree is pretty, I like the white lights, also like Henry’s reindeer shirt.